It’s true that Ubud has got busy. You can blame it on Elizabeth Gilbert I reckon and her memoir Eat Pray Love which was made into a film of the same name starring Julia Roberts. From being the sleepy cultural hub of Bali, Ubud has morphed into a busy town where you’ll find lots to do, and plenty to buy. 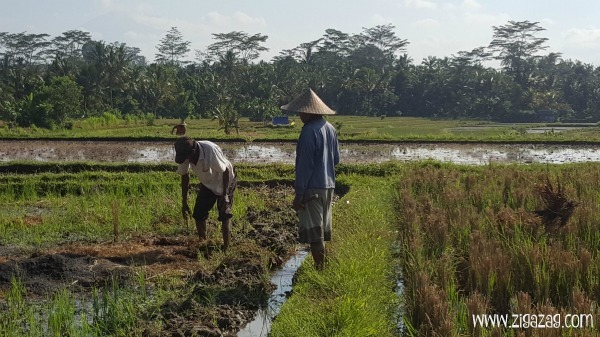 However, you can still step just beyond the main streets and find rice fields and stunning scenery – where the more traditional Bali carries on in much the same way as it always has. The main part of Ubud is vibrant and it’s a hive of activity with tourists and travelers coming here from all over the world to soak up Balinese culture, colour and beauty and let’s not forget the traditional healing such as meditation, massage and yoga that Ubud is also renowned for. Step away from the road through ornate Balinese doors and you’re transported into another world; the old, traditional Bali – where fine art, contemporary art, and artisan crafts jostle for space in ancient courtyards and crumbling buildings, where temples (and cockerels and songbirds in cages) take centre stage. Then again step off the road and wander around luxury hotels with bright blue pools and views across farmland – perhaps check out a gorgeous quiet room with a balcony that looks out onto rice fields maybe. Perhaps have lunch or an iced ginger tea and poppy seed cake in an open sided restaurant, and look forward to finding another new and interesting place to eat in the evening. What’s lovely about Bali? You’ll continually be greeted by smiling and oh-so-friendly Balinese people anxious to spend the time of day with you. So without further ado, here are some of the things which will keep you busy on a trip to Ubud (besides ancient sights and temples). I haven’t included the Monkey Forest because personally I don’t like it, and if you get bitten by a monkey (I know someone who has) you’ll be up for rabies injections. Tip: Stay more than a couple of nights – Ubud is a great jumping off point too for day trips to the East of the island, and to places such as Besakih Mother Temple below. This is much more than a gallery. 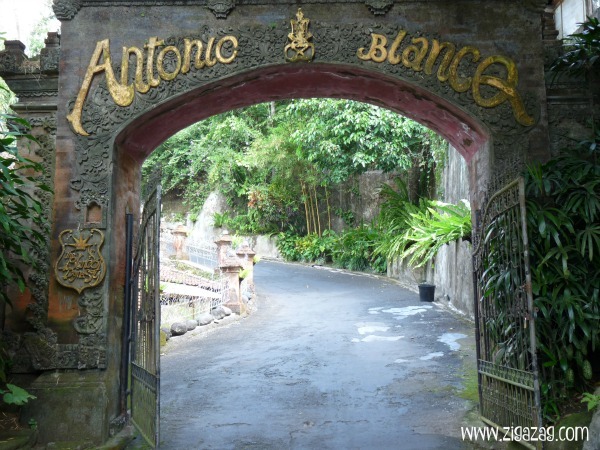 It’s called Blanco The Renaissnce Museum – The grounds are beautiful and Antonio Blanco has a fascinating history with Ubud. 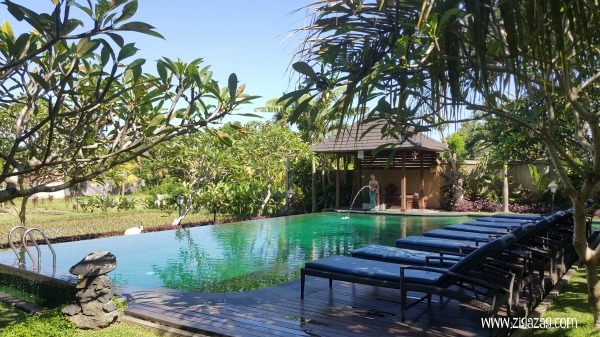 There are plenty of spas and yoga centres in Ubud. If you’re at a 5 Star hotel you may well have them conveniently situated on the premises. Otherwise never fear. 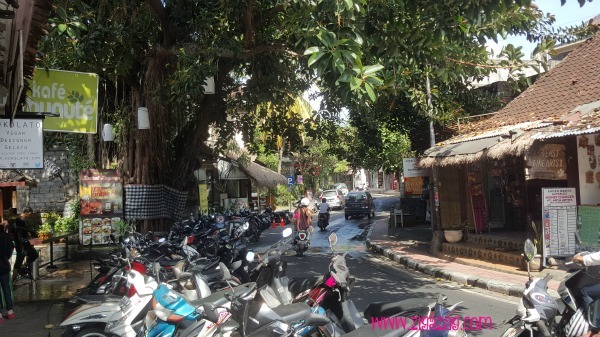 Grab a copy of the Bali Advertiser (free) or Ubud Community (also free) which you can pick up from restaurants (I picked them up at Murni’s by the bridge in Ubud) and you’ll find helpful information at the tourist information centre in Ubud. Laze by a pool and read – nearly all hotels and villas have lovely pools. If you are staying in budget accommodation, you could have lunch at a hotel with a pool, and ask if you could maybe laze by their pool for a couple of hours. If not, join a host of other travelers who sit and drink lassis and ginger tea or Bintang beer under cool swirling fans in any number of quirky restaurants. 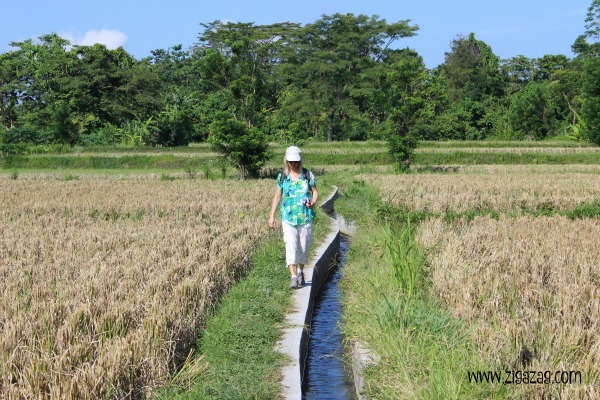 Walk through rice paddies and lush countryside – Although Ubud main streets are busy, you are only a short hop skip and jump away at any time from rice fields and beautiful country scenery. 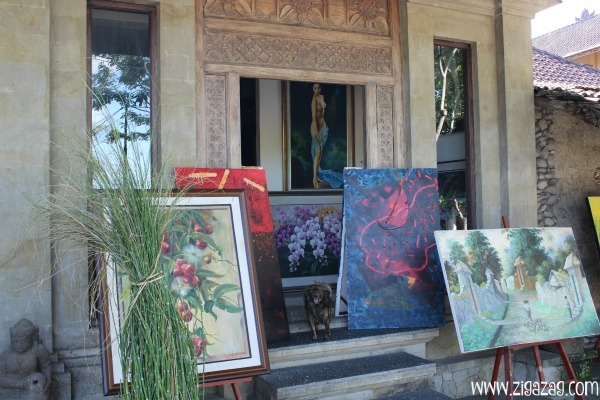 Check out the art galleries – there are so many. From classic Balinese scenes to contemporary art to fine art. If you’re in the market to purchase you’ll be spoilt for choice. At some galleries you can watch artists at work. Quite a few companies are now offering cycle trips. One is a popular ride down the hill from Mount Agung stopping at places of interest along the way. In the centre of town at Ubud Palace there are traditional dances every day at 7.30pm. You could choose to watch Legong Dances, Ramayan Ballet, Shadow Puppet performances, or Barong Dances. Other places you can book to watch dancing are at the Ubud Water Palace and the Monkey Forest. Pick up a map from the Ubud Tourist Information on Ubud Main Road (almost diagonally across from Ubud Palace) and you’ll find a list of the daily performances. There are day tours to all sorts of places – from river rafting, to hiking, to the elephant park, to stone markets and batik factories. 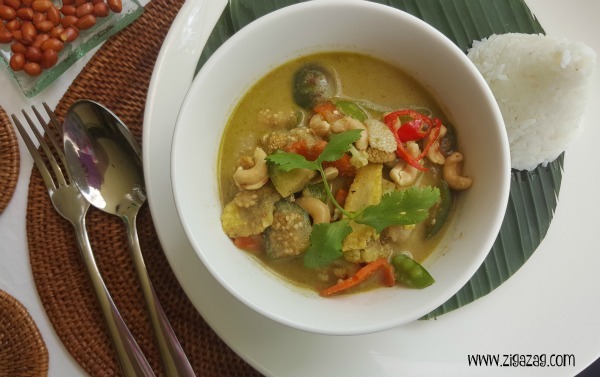 Sign up for a cooking class – you not only learn how to cook Balinese dishes but you’ll also be taken to the fresh food market to buy the food and get some behind the scenes insight into unusual food choices, and their preparation. 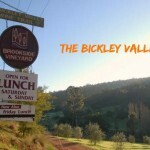 Enrol in a photography class – I’ve noticed that a couple of photography tours have started up. 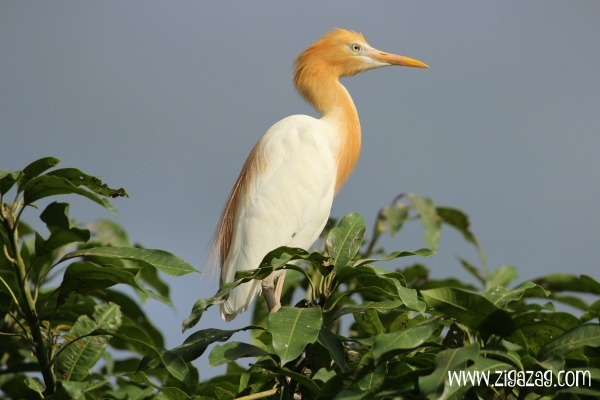 I also picked up a brochure for a bird watching tour, Bali Bird Walks. Ask at the tourist info centre for more up to the minute recommendations. 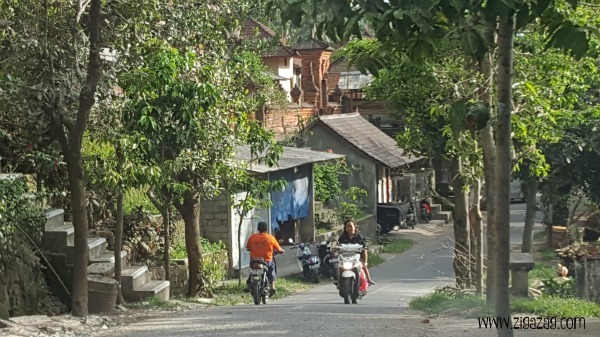 This is a small village about 3kms north of Ubud which is renowned for its Egrets which come to nest in their thousands around 5.30pm each night. It’s an astonishing sight to watch the birds coming in and the noise (and the smell) is quite something too! Take an umbrella if you’re worried about bird poo! There’s an interesting and disputed tale about Petulu that you can read here and more about Petulu here. 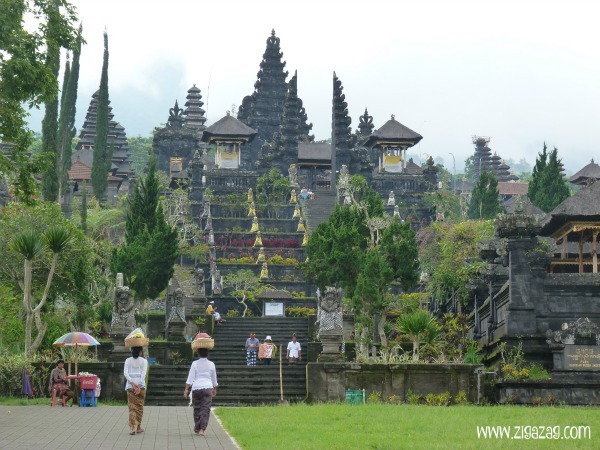 Have you been to Ubud, or Bali? What would you recommend doing? I’ve always wanted to visit Bali so your post was timely. And, I’ll be checking out your other posts. When I read your opening about Elizabeth Gilbert and her book/movie, I wondered if the locals resent tourists invading their little oasis? In France, Peter Mayle’s book, “A Year In Provence” brought truckloads of tourists and supposedly the locals were not happy. One doesn’t say “Peter Mayle” there! Did you encounter anything like that? Great article Jo! I have bookmarked it under a folder for ‘to do’s’. Ubud looks beautiful. Great list of things to do. The cooking class in particular appeals to me. I’m one of the few who wound up not liking EPL but that doesn’t mean I wouldn’t want to visit Bali! 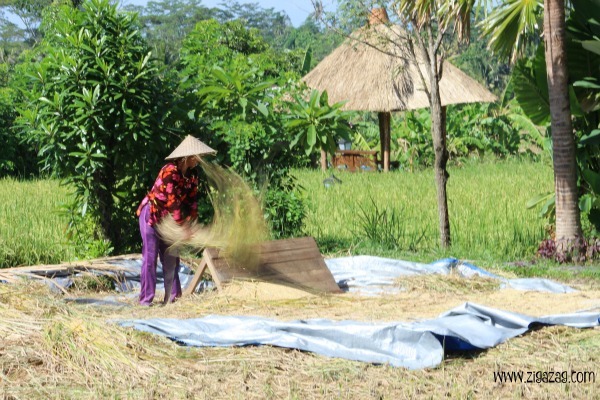 Your recommendations of things to do in Ubud will come in handy when we do get there! Bali looks so exotic and foreign – exactly the kind of place I’d like to go to sometime next year. I like the fact that you can have the luxury and tourist attractions in and near Ubud and then find other places to experience a more authentic, quieter Balinese life. How fun to take some cooking classes but a photography class would be equally enjoyable. Looking forward to a visit and your suggestions will be very handy! I’ve never been to Bali and our photos and descriptions make it sound very appealing. Definitely on my bucket list! Thanks Irene, it is still a magical place to visit. 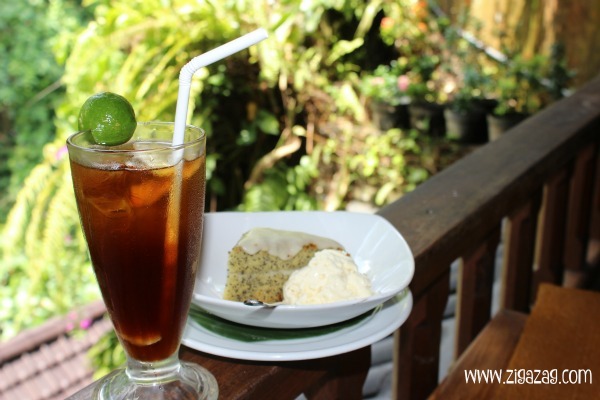 Yes Anita, I think the cooking classes would be fun … so to photography – so much to do in Bali – including rest and relax! Hi Carole, it’s always both good and bad to have missed things on a first trip I think – good because it makes you want to return and bad because you sometimes think you should have allowed more time for discovery. Ubud is quite different and well worth a return visit. Hi Janice, I think those with businesses have been cashing in like mad, but I’m betting the locals and expats probably don’t mention her name, much like Peter Mayle in Provence! We have never really had any desire to visit Bali, unlike many of our fellow countrymen, but your descriptions and photos make the idea quite tempting. I definitely second giving the ‘monkey forest’ a pass, we went a long time ago and even before the extra burst of crowds with Ubuds increased popularity it was really just sad and while we weren’t bitten I had a scare from not paying enough attention while exploring around a temple and had a large male block me in with bared teeth. There are many other places in the world I would and have seen monkeys in the wild but in Bali there are many better things to do. That must have been a scary experience Toni ! Hi Lyn, ah yes, lots of people either love or hate Bali. 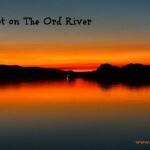 I hope you’ll love it if you do visit. I think that’s how it found its fame, Billie. Back in 1983 it was such a tiny little village. Hi Lyn, many people would agree with you. But Bali still has its beautiful benefits. Haha, definitely written in the stars Meg! And thank you!